As an ASP.NET guy, I always wanted to see (preview) the images in Solution Explorer and I am here. 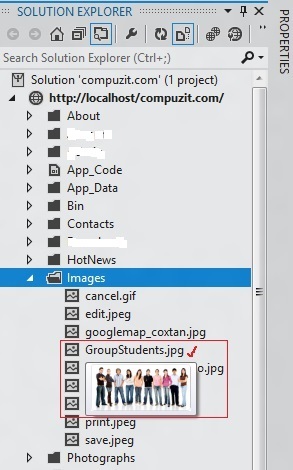 In above image, when I hovered the cursor on "GroupStudents.jpg", VS 11 displayed the preview of that image. Wow, I just love it.